It’s a pretty big blow to Netflix – users will soon lose access to new movies from two of Hollywood’s biggest studios, Disney Studios and Sony Pictures. In a deal that broke down yesterday, Starz Entertainment said that it will end a distribution deal with Netflix that provided the streaming service with movies from those studios. That news sent Netflix stock plunging 9% overnight. Starz’s decision to cut streaming is the latest indication that Hollywood is growing a bit tired of Netflix. Companies have been reevaluating the payments received from Netflix and debating whether the cost is worth what it does to traditional cable and DVD-rental businesses, as consumers are increasingly shying away from traditional cable TV subscriptions in favor of digital platforms and streaming services. Netflix reportedly offered Starz more than $300 million a year to renew the deal after it expires in February – more than ten times what the current terms are. But, Starz wanted Netflix to create a new “tier” for subscribers who wanted those movies, meaning that in order to get Starz content, consumers would have to pay more than $7.99/month. Netflix wasn’t willing to take that step. 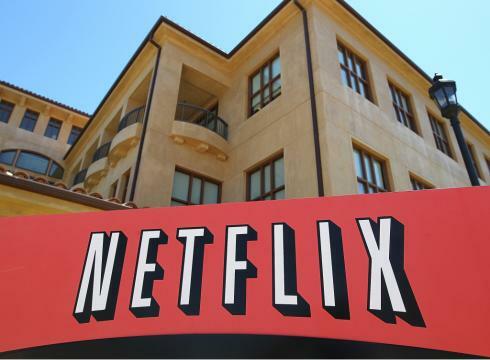 It’s a raw deal for Netflix, especially considering its timing – this week, the company implemented new rate plans that eliminated the availability of a combined streaming + DVD plan and made it so customers would have to pay separately for the plans. That, plus an upcoming decrease in content, is not a great mix.